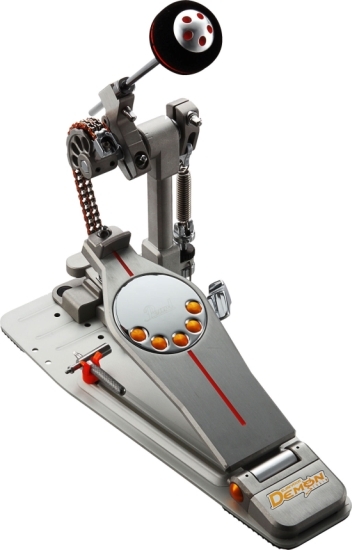 ADJUSTABLE TRACTION PLATE The Aluminum Traction Dots are fully adjustable to vary the amount of slip or grip for your playing. Zero latency U-JOINTS Zero latency Z-Link U-joints prevent backlash and promote optimal feedback for incredible speed and control. Z LINK DRIVE SHAFT Adjustable machined Aluminum for perfect positioning and backlash-free energy transference for precise feel. FOOTBOARD HEIGHT ADJUSTMENT Loosen and rotate to desired footboard height. Rotation is clearly indexed for optimal repeatable. MODULAR POST SYSTEM The Modular Post System allows simple conversion from 1 double pedal to 2 single pedals.